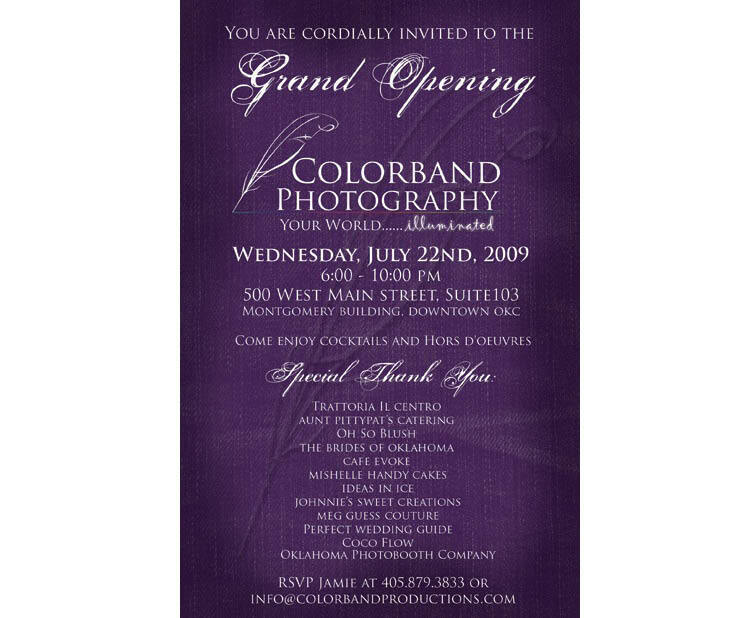 Colorband Photography Grand Opening Tonight! Don’t miss the grand opening of Colorband Photography’s new location in the Montgomery Building in downtown Oklahoma City tonight! Join the festivities from 6 p.m. to 10 p.m. and enjoy fabulous food, drink and great company! Hope we see you there! RSVP Jamie at 405.879.3833 or info@colorbandproductions.com.